You are here: Home / Natural Fine Planetary Talismans / Gemstoneuniverse.com- Hot News. New lot of fully Natural Unheated Rubies without any treatment acquired. Gemstoneuniverse.com- Hot News. 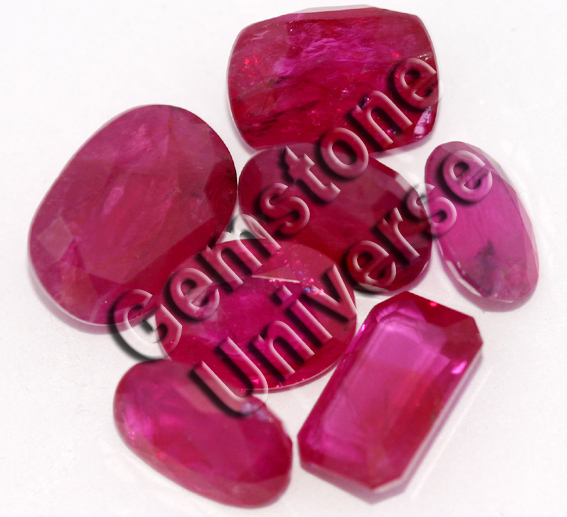 New lot of fully Natural Unheated Rubies without any treatment acquired. What makes these Rubies all the more special is that these are fully natural, non glass filled, unheated, having good transparency and very similar in color to the Imperial Pigeon Blood color Burma rubies. These Rubies have been mined in Tajikistan and are flaming red and extremely pleasing to the eyes and the spirit. Within the span of next 10 days this lot will be listed in the Ruby Vault of Gemstone Universe and at a price that will delight our patrons and keep the competitors flummoxed. Keep a watch on our online inventory of Rubies and grab these beauties before the stock runs out. Each of these gemstones will make power Sun Talismans!